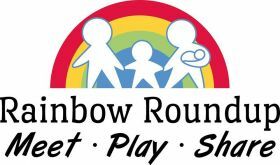 Celebrate International Family Equality Day (IFED) with Rainbow Roundup at their annual event! Join them at Little Elm Park on Lake Lewisville, located at 704 W. Eldorado Parkway, Little Elm, Texas. Pack your snacks and bring your sand toys. Look for our rainbow flag and tent on the beach!